Looking for New Single Family Homes, Building Lots, House, Condo, Land, Mobile Homes, Townhomes or Acreage? Jeffrey Fowler, REALTOR® Millville Real Estate Agent - Kw Realty.. Bringing Millville DE real estate Seller's and Buyer's together Since 2002. Millville, Delaware is a small town of a little over 200 residents, situated on Route 26 only three miles from Bethany Beach. Millville is often described as a "bedroom community" for nearby towns, although the appeal of nearby resorts, as well as the excellent schools, low property taxes and zero sales tax are fueling the growth of this intimate community. In preparation, the town council recently approved a dramatic expansion of its town hall. The town's pride and joy, the Millville Volunteer Fire Co., serve as an example of the civic pride that makes Millville a great place to live. Looking for Millville Delaware MLS Property Listings for sale. 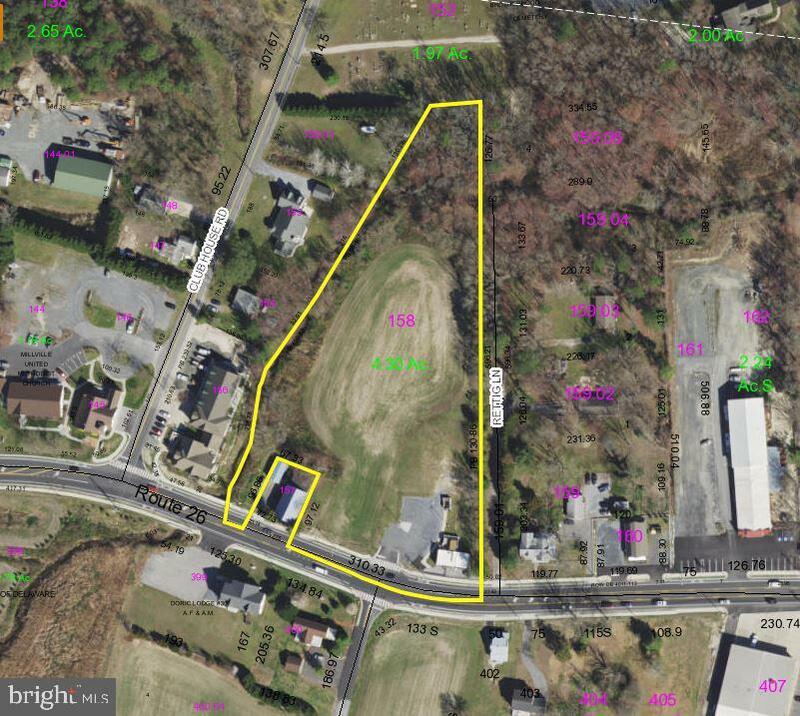 Searching for a specific Millville Delaware Single Family Home Community or Millville Delaware Building Lots Land & Acreage Community. Now is an excellent time to become a part of this small, though growing community by looking at resort real estate for sale in Millville, Delaware. Whether you are looking for a long term move, or just want a great vacation summer home that will put you just miles from world-class resort towns like Rehoboth and Bethany Beach, Jeffrey Fowler can help you locate exactly the real estate you desire. Jeffrey Fowler is a full time / full service Millville Realtor® specializing in luxury resort real estate sales and beach homes. Millville, Delaware is just one of his preferred real estate areas. Dealing with properties in many areas of Sussex County and Southern Delaware, Jeffrey Fowler can find the real estate that will meet all of your needs and requirements. One of the most helpful services Jeffrey Fowler offers potential buyers of real estate in Millville, Delaware is an extensive, searchable database of real estate properties. The database contains literally thousands of real estate listings throughout Southern Delaware, with many properties located in Millville. You may limit your search to the town of Millville proper, or widen it to include them many beach homes, vacation condos and other real estate properties throughout Sussex County. Not only does Jeffrey Fowler offer a wider range of listings than most agents, but he also brings a personal understanding and passion for these coastal towns unmatched by any other Realtor®. Matching his clients not only with the right home in their price range, he also takes into account the community in which they will live. Taking careful consideration fro the needs and desires of each client, Jeffrey Fowler puts forth the effort to find the right home for every person and family. Millville, Delaware condos, vacation homes and properties near the beach are available to you today through Jeffrey Fowler, KW Realty. You may send an email to receive daily updates when properties in or around Millville, Delaware become available. Qualified KW Realty REALTOR® Millville Delaware. A recent customer from Millville, Delaware praised Jeffrey Fowler's "communication, courtesy and professionalism." He added: "Jeff gets all my future business and referrals in Delaware!" Glowing testimonials such as this are a regular coinsurance for the Keller Williams Realty. Jeffrey Fowler's goal of 100% customer satisfaction is one he strives for every single day. In this way, he builds long-term relationships with his clients. Whether you want a quiet vacation home, or a long-term move for your entire family, Jeffrey Fowler will help you find the home of your dreams here in Millville, Delaware. Questions about Millville Delaware Real Estate? If you have questions about real estate in Millville, Delaware, or anything else about life in Southern Delaware, Jeffrey Fowler will provide answers. Give him a call today or just drop him an email. He will give you the personal attention you deserve and help you find the home you have always wanted. Millville Real Estate Sales, MLS Property Listings, Millville Homes, Condos For Sale.